Scroll down for the newest listings of homes for sale in 78216. Use the Advanced Search feature to search all listings in this zip code. Spanning the cities of San Antonio and Castle Hills, Texas, the 78216 zip code includes the popular neighborhoods of Bluffview of Camino, Bluffview Estates, Bluffview Greens, Enchanted Forest, Harmony Hills, Ridgeview, Shearer Hills, Vista del Norte and Woodlands of Camino in the north central San Antonio area. While the average price of a house for sale in 78216 is in the mid-$150,000s, making it great for first-time homebuyers, the area also also boasts elegant custom homes with golf-course views in Bluffview Estates that can list in the high $700,000s for more affluent residents. 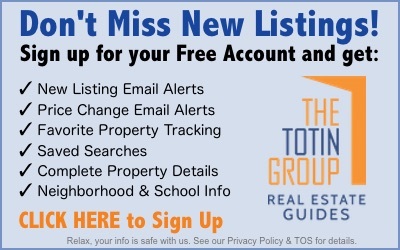 Contact the Exclusive Buyer Agents at The Totin Group, eXp Realty, at (210) 872-8888 to see real estate for sale in 78216 in San Antonio, Texas. Ask us how you can get the representation and peace of mind you deserve at no cost to you, because the seller typically pays our fees. The newest listings of real estate for sale in 78216 are shown below. Use the Advanced Search feature to search all listings in this zip code.